The Mail pane of the Preferences. This pane is seen only in the document Preferences dialog. 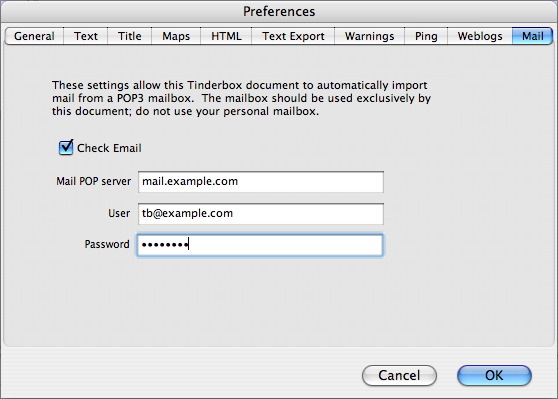 Configuring this feature allows email to be sent to Tinderbox.